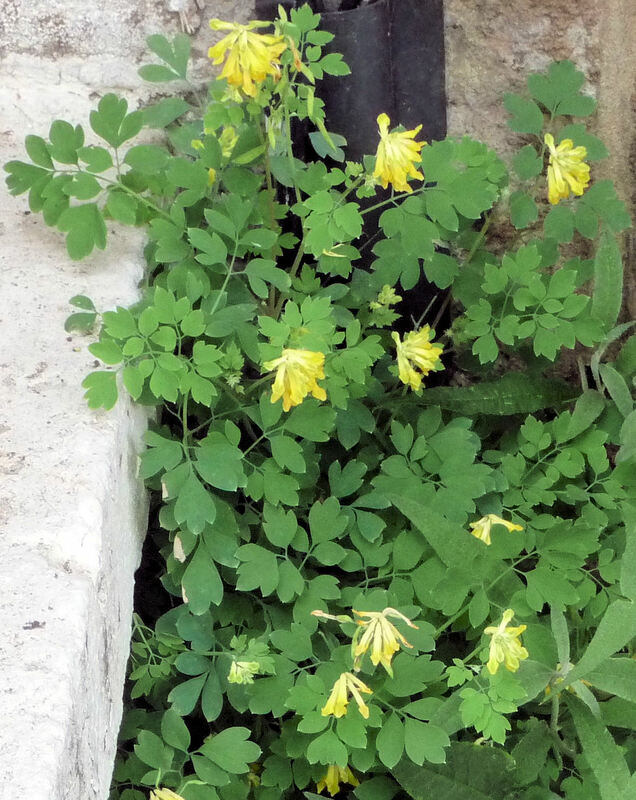 Originating at the foot of the Alps, this perennial is fond of rocks & the crevices between them, preferring moist but free-draining soil in full sun to part shade. 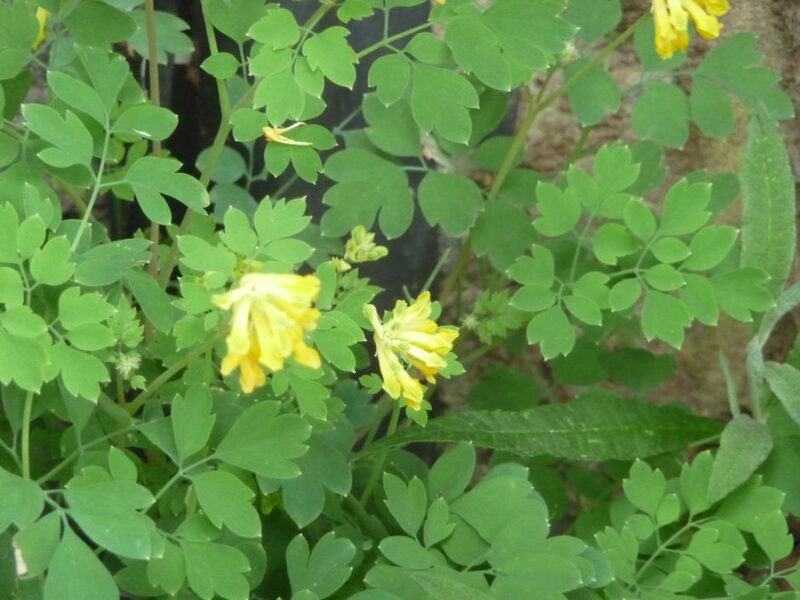 The delicate green foliage of Yellow fumitory resembles that of Maidenhair fern. Small mounds of Yellow Fumitory nestle in many Highbury front gardens, including our own. In May, spurred tubular YELLOW flowers appear amongst the greenery; they bloom until October. The plant is untroubled by pests or diseases. It does not tolerate high temperatures in summer or wet soils during winter, & resents being transplanted. 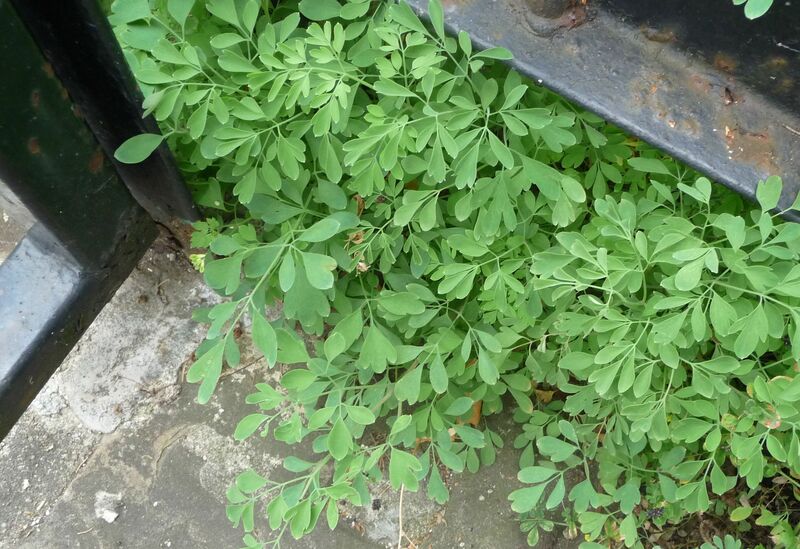 In the 2018 heatwave, all flowers lay on the ground beneath the plant. No further flowers were produced until cooler weather returned. 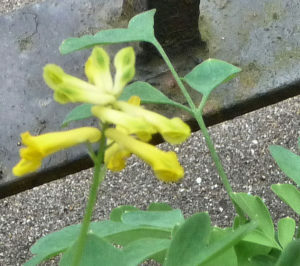 Other names: Crested Lark (from the Greek korydalis), Corydalis lutea, Fingers-and-thumbs, Hollowort, Italian weed (because it was ‘said to follow the Romans’), Kitty Barnard, Lady’s pincushion, Mother-of-thousands, Pincushion, Poppers, Psuedofumaria lutea, Rock fumewort, Yellow Bleeding Heart, Yellow Corydalis, Yellow Larkspur, Yellow Wall Fumitory.